Quickly edit a job or quote number in your account. The process to change an invoice number and an estimate number are the same, so in this article we'll run through it with an invoice. Go to the job details page of the invoice you'd like to adjust. Click on the invoice number at the top left of the invoice card. A window will appear titled 'Invoice number.' Click on the existing invoice number to edit. Once the number is correct, click the 'send' button in the bottom right. 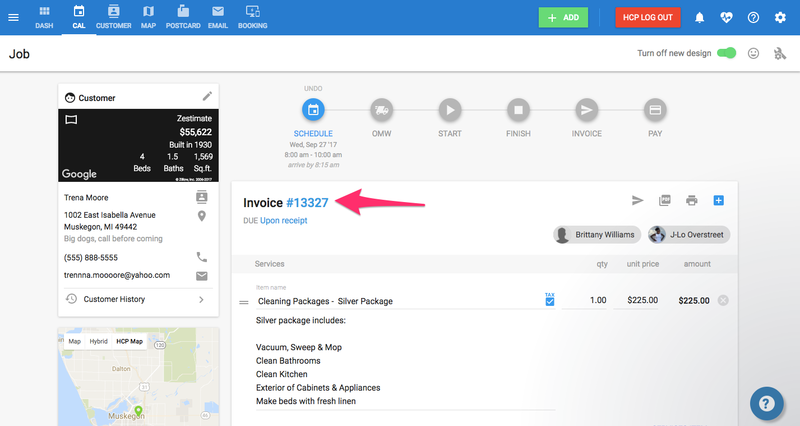 Note: Housecall Pro will always run invoice numbers in sequential order, starting from the HIGHEST number in the system. 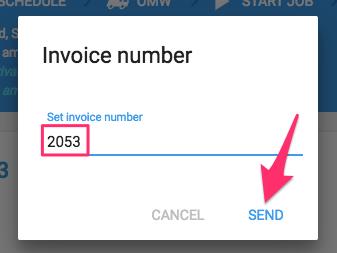 This means, if you change an invoice number to #100 but there is an invoice in the system listed as #200, the next invoice created will be #201, then #202, #203, etc.